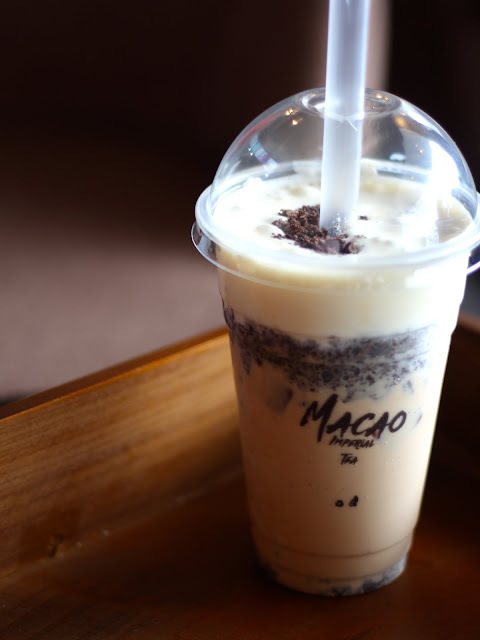 Just when I thought that the milk tea craze in the country is over, a new franchise from Macao came swooping in, getting the curious all riled up, myself included. It was a rainy afternoon when we arrived Macao Imperial Tea, and we weren't expecting a lot of people to be hanging around the area, but we were wrong. Lucky for us, the parking space for the tea place was huge, so we were able to park our car as soon as we arrived. We entered the shop and the place was packed (which is why I didn't bother to take photos of the place), with only a few seats empty, and a bit of a long queue at the counter. We were supposed to try the cutest item in their menu, which had the drinks contained in a bottle capped with bear ears. Too bad they ran out of bottles so we weren't able to try them :( but anyways, the FOR ME and FOR YOU drinks are actually caramel macchiato and strawberry milkshake respectively. 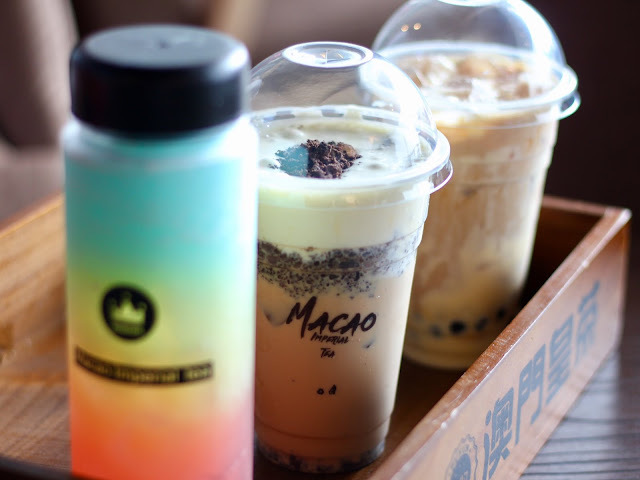 I ordered their cream cheese oreo milk tea and their over the rainbow soda. Milk tea topped Cream cheese mousse and crushed oreos. 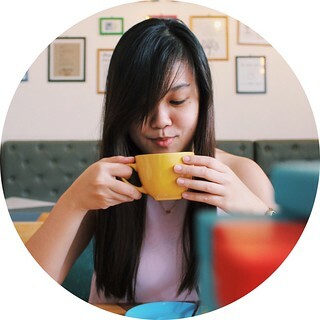 I tried the drink before mixing it, and the taste was like a normal milk tea. After mixing, the cream cheese taste was then infused in the drink. It was good, although I was hoping for a more profound cream cheese taste. Nevertheless, it was good. One of the most popular drinks served by Macao Imperial Tea is this vibrantly colored soda. Honestly, I'm not much into sodas, so I didn't expect to like this one, but I did! What I was able to appreciate about it most is the lack of strong acidity most commercially available sodas have. The flavor was also good (I was able to get the taste of strawberry although there are more). I also didn't find it too sweet, although I drank it almost an hour after buying it, since I took it home. I'm coming back for their special drinks (for me and for you) and the cream cheese sea salt jasmine green tea. Something about the combination of those first two ingredients makes me drool.